Princess Cays is a private cruise port resort in the Bahamas. Many cruises from Charleston go there. See the full schedule of departures below. 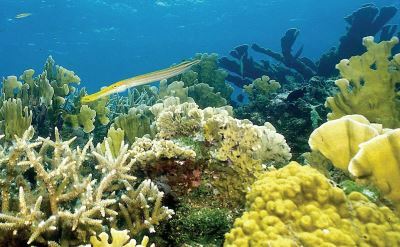 Princess Cays is located on 40 acres at the southern tip of Eleuthera Island. 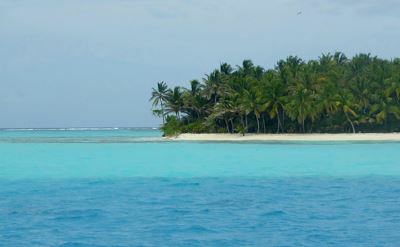 It features a half-mile of white sand beach. Amenities include an observation tower, local craft market, water sports and volleyball. You can reserve equipment like snorkels, kayaks, aqua chairs and bungalows ahead of time. There is an adults-only retreat area. Carnival cruises from Charleston offer several options for shore excursions at Princess Cays. Find something that strikes your fancy and have fun. The Rock Sound and Eleuthera Scenic Tour is a 2.5 hour tour of historic, cultural and scenic sights. You'll walk around the town of Rock Sound and dance to Junkanoo music. 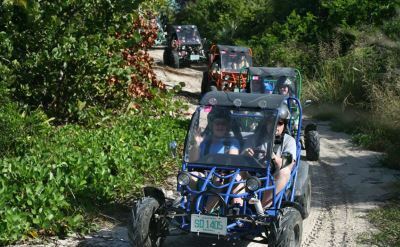 Dune Buggy Heritage Adventure Tour is a fun drive to the southern tip of the island and historic Bannerman Town. See the pink sand at Lighthouse Beach and catch the view from the top of the lighthouse. The Glass-Bottom Boat Cruise is the way to see underwater without getting wet. It is a 1 hour trip. The Surf Fishing excursion is a good choice for an outdoorsman. Spend 2.5 hours fishing on a rocky shore. The package includes spinning reel rod, bait, aqua shoes and assistance if requested. 4-day cruise to Princess Cays on Carnival Cruises. Round-trip from Charleston to Princess Cays (Bahamas). • 2019 departure: May 23. • 2019 departure: August 29. 5-day cruise to Princess Cays on Carnival Cruises. Round-trip from Charleston to Princess Cays (Bahamas) and Nassau (Bahamas). • 2019 departure: January 12. • 2019 departure: January 17. • 2019 departure: January 31. • 2019 departure: February 5. • 2019 departure: February 10. • 2019 departure: February 15. • 2019 departure: February 20. 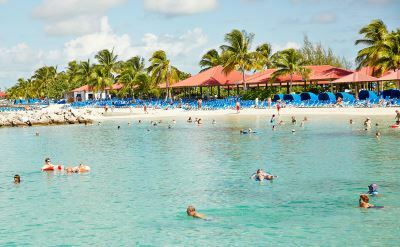 5-day cruise to Princess Cays on Carnival Cruises. Round-trip from Charleston to Princess Cays (Bahamas) and Freeport (Bahamas). • 2019 departure: February 25. • 2019 departure: March 21. • 2019 departure: March 26. • 2019 departure: March 31. • 2019 departure: April 10. • 2019 departure: May 4. 7-day cruise to Princess Cays on Carnival Cruises. Round-trip from Charleston to Princess Cays (Bahamas) and Royal Naval Dockyard (Bermuda). 1 overnight in Bermuda. • 2019 departure: September 7. 7-day cruise to Princess Cays on Carnival Cruises. Round-trip from Charleston to Princess Cays (Bahamas) and Royal Naval Dockyard (Bermuda). • 2019 departure: September 28. 7-day cruise to Princess Cays on Carnival Cruises. Round-trip from Charleston to Princess Cays (Bahamas), Grand Turk (Turks & Caicos) and Amber Cove (Dominican Republic). • 2019 departure: October 19. • 2019 departure: October 26. • 2020 departure: June 27. • 2020 departure: July 6. • 2020 departure: August 8. • 2020 departure: August 22. • 2020 departure: September 19. • 2020 departure: September 28. • 2020 departure: October 26. • 2020 departure: November 14. • 2020 departure: November 28. • 2020 departure: December 12. • 2020 departure: December 26.